World Cup-winning Wallabies coach Bob Dwyer has accused England tight-head Dan Cole of deliberate illegal scrummaging and put referee Craig Joubert on notice to take control of what he believes are dirty tactics being employed by Eddie Jones’ side. 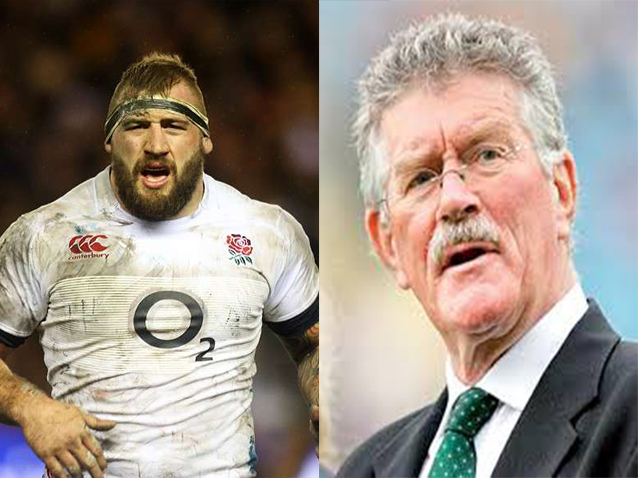 And Harlequins prop Joe Marler, who is sitting out the tour Down Under, has hit back at Dwyer’s suggestion, describing the 1991 World Cup winning boss as a ‘w*****’. In the wake of Australia being penalised almost twice as much as England in their 11-point first test loss, Jones defended his team after former Wallaby Phil Kearns also took a swipe at Cole for not playing by the rules. “I’ve got great confidence in Craig Joubert — he won’t let Phil Kearns referee the game,” Jones said. But Dwyer may have kicked along the supposed “organised campaign” by criticising England for their illegal angling on Wallabies loose-head Scott Sio in Brisbane. “How anyone could have allowed Dan Coles (sic) to scrummage the way he did was absolutely beyond me,” Dwyer said. “How two assistant referees and one referee on the pitch could allow him to consistently and blatantly break the laws of the game, I’m not sure. I couldn’t say that Dan Coles’ experience and ability didn’t play a big part in his clear points win over Scott Sio, but we do expect some semblance of accuracy in accordance with the laws of the game. “On one occasion, in particular, Coles’ backside was out of the scrum facing one sideline and his head was in the scrum facing the other sideline. His most consistent offence was angling in but on other occasions he managed to roll his right shoulder and give nothing to push against, causing Scott Sio to roll in as well. More times than not it was a penalty [against Australia]. Meanwhile, Jones said: “Every side I coach, I coach them to play legally. “We want to play legally, we want to scrum straight, we want to scrum square and we want to scrum at them. It’s an area we want to dominate.